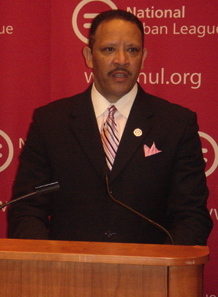 Marc Haydel Morial is an American political and civic leader and the current president of the National Urban League. Morial served as mayor of New Orleans, from 1994 to 2002. He is married to Michelle Miller, who has won awards as a CBS News Correspondent.